The Everglades National Park in Florida, the USA, is an unusual place. It is a very wide, slow-moving river with grass growing all through it. Rare animals live there, including panthers and large water-dwelling creatures called manatees. 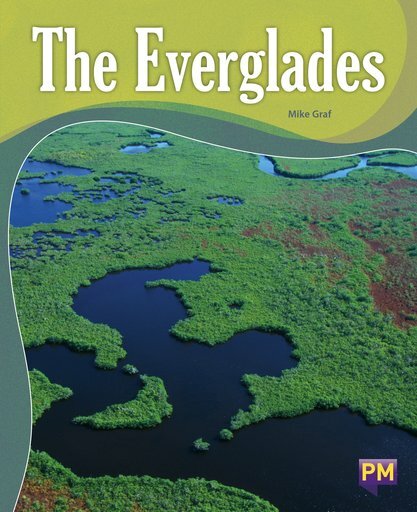 The Everglades area was named a national park to protect it. Today, families visit the Everglades to camp, row boats, and spot birds and amazing animals like alligators. PM Guided Reading Non-fiction books are fascinating texts that increase in word count and pages in line with progression of children’s reading age, for appropriate literacy skills development. The books represent all the standard text types and contain literal, inferential and applied knowledge questions to test comprehension and promote discussion.